"I can't imagine the sadness you must be feeling from your..."
"My deepest sympathy goes out to you and your family as you..."
"My condolences to you and your family. May God Bless and..."
"Ms.Lettie, Clayton, 'Ness, and 'Tish, the Hall family..."
Willie B. Rodgers passed away peacefully at her home on September 10, 2018. She was born on April 18, 1935 in Elkhart, Texas and she was the 7th child born to late Samuel and Mary Nathaniel. In 1953, as a young adult, she moved and continued to be a longtime residence of Colorado Springs until her passing. 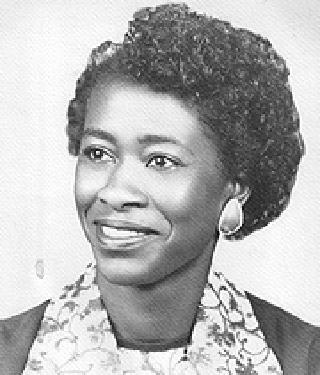 To cherish her memory, Willie is survived by her children Ray, Gwendolyn (TuTu) and Karl Nathaniel all of Colorado Springs, CO; three brothers, Joe (Zelma) Nathaniel of Colorado Springs, CO; Howard (Sadie) of Houston, Texas; Jessie (Sharon) of Dallas, Texas; two sisters Lettie (Curtis) of Colorado Springs, CO; Joyce Dawson of Dallas Texas; four grandchildren, Montrell Watson, Nicole Watson, Shaquille Golden and Tre'shon Nathaniel; also all of Colorado Springs, CO, ten great-grandchildren, and a host of cousins, nephews, nieces, relatives and friends. Visitation will be Wednesday, September 19, 2018 from 4:00 p.m. to 7:00 p.m. at Angelus Chapel located at 1104 S. Circle Drive, Colorado Springs, CO 80910. Funeral services will be held Thursday September 20, 2018 at 1:00 p.m. at Lakeside Church of Christ; 603 S. Hancock Ave, Colorado Springs, CO 80903. She will be laid to rest at Evergreen Cemetery located at 1605 Hancock Expressway, Colorado Springs, CO 80903.